Thank you very much, Cindy. Glad you like this character. Mariola, thank you for featuring Maa-aaa in the 500 Views group. Beth, thank you for featuring Maa-aaa in the 500 And Beyond Fine Art group. Many thanks, Morris. 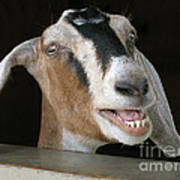 Would that we could get people to pose as well is this goat! Thanks for your kind comment, Diann. Very much appreciated. Many thanks for your kind congrats, NaturesPix. Congrats on your graduation from the 200 to 500 views group! Many thanks for your generous response, Brian. Appreciated as always. Lori, thank you for featuring Maa-aaa in the Black Background and Color group. Thanks, Liesl. Glad you like this toothy goat with the big smile. Many thanks, Nancy. Glad you like this genial goat in its various moods. Thank you for your gracious response, Alana. Very much appreciated. Thanks for your gracious response, Morris. I don't think I said anything. 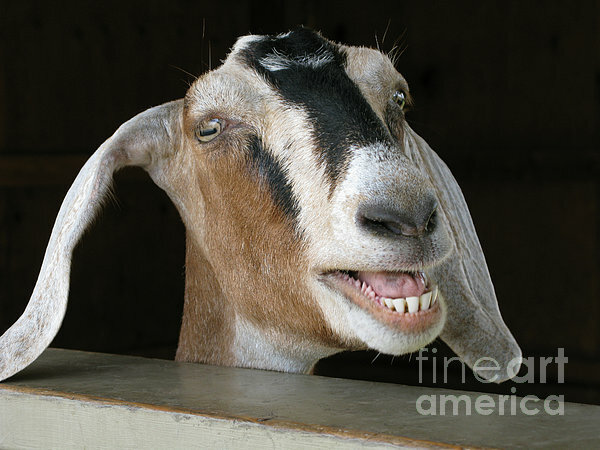 This was just a genial goat who seemed to like people. Many thanks, Constance. 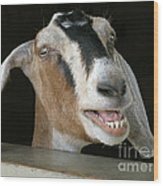 Glad you like the goat's toothy grin! What a smile:) Terrific Ann! Maa-aaa! A Nubian goat with its long floppy ears makes itself heard. Copyright 2009 Ann Horn. ALL RIGHTS RESERVED. This copyrighted image does not belong to the public domain and may not be reproduced, copied, altered or manipulated in any way without the written permission of Ann Horn. ann-horn.pixels.com. pixels.com. Group Features: 500 Views. 500 And Beyond Fine Art. Black Background and Color.